To begin registration, click the REGISTER FOR OPEN button in the center of the homepage. Registration for the Open starts January 10, 2019, and continues through the entirety of the Open (which ends March 25). To be a valid competitor, however, you will want to register and submit your score on Open Workout 19.1 before 5:00 p.m. PT on Monday, February 25. 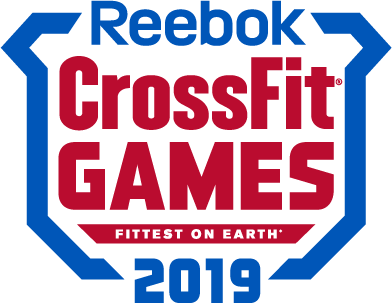 Please login with your existing CrossFit ID (an email address and password that you've used for other CrossFit events such as the Open, Judges Course, or seminar registration). It's important to use the same email address and password so that your record isn't fragmented between multiple CrossFit accounts. New participants click CREATE AN ACCOUNT. ABOUT ME. Double check to make sure your name, email address, birthdate, Competition age, gender, country of citizenship, and competition division are accurate. WHERE DO YOU WORKOUT? Enter the name of your CrossFit affiliate or select that you do not workout at an affiliate. If you do not workout at an affiliate you will need to select a country and state/province (if applicable). Don't over-think it, unless you (1) have an unusual circumstance or (2) recently moved or (3) split your time between many places because you're away for college, serving in the military, or traveling frequently for work. If you're still unsure contact support@crossfitgames.com. AGREE TO DEADLINES. Scores are due each Monday at 5 p.m. PT. Late results will not be accepted for any reason, so get your results early. AGREE TO TERMS. You may be required to sign this document. If you have any troubles, please contact support@crossfitgames.com. Minors must have their parent or guardian sign for them. EMAIL NOTIFICATIONS. Make sure the box is checked if you would like to receive email updates, news, and events from CrossFit. Step 4: Complete the DocuSign waiver. Registration costs US$20 for all athletes worldwide. Taxes apply. Enter your credit or debit card information, and billing address. CrossFit does not accept PayPal, Venmo, or any other similar forms of payment at this time. Filling in your athlete profile is more important now than ever before. The new Leaderboard displays your profile picture, age, height, and weight (all competition related data). By providing a headshot and your basic stats, your peers on the Leaderboard are able to learn more about who you are.